WanderMan: Pests Be Gone! Electronic Repellers -- Do They Work? Pests Be Gone! Electronic Repellers -- Do They Work? Just because I don't really enjoy cleaning at all, doesn't mean I have a dirty RV. I've figured out how to minimize cleaning time by doing a bit at a time. Small bites, you know! So I was dismayed to discover I had a critter sharing the tiny space that is my RV, with me. Quite a shock to see it peek out in the passenger foot well while driving. I had just two questions. How did it get in and how can I get rid of it...fast?! Hunting the rodent down inside the RV and killing it was really not an option. They are tough to find and it seemed a bit overly violent to me. Besides, I'd have to clean up the mess. Far easier to make the space less comfortable for it and "persuade" it to move out. I had heard about Ultrasonic pest repellers, but was (and still am) skeptical about their effectiveness. When a coupon code arrived in my email inbox making the cost of one of them only $9, I figured, "Why not?" So I ordered it. When it arrived, it was obviously from a non-English speaking country as all the labeling was, essentially, indecipherable English sentences. How about this one; "The upgraded reinforced type repeller applies the physical principle to repel rats, bats, mosquitoes, flies and cockroaches." Ummm, I sort of get what they are writing about, but since there were no instructions inside the box, it was difficult to figure out how to actually USE the device. It has a single button that, when held for a couple of seconds, turns the device on. Subsequent clicks change modes(?)...maybe. There are all sorts of lights that flash or burn steady when various numbers of clicks are tried. I have no idea what they actually do. I can barely hear differences in the sound it emits if I get VERY close to the speaker. There are only two different sounds, so I figure the lights are only for show. I finally figured out that the two sounds were, CF or Constant Frequency, good for Rodents and other small mammals, and VF or Variable Frequency for Insects. Now be aware this device only works on 120V house power. For me, that's OK, since when I store my RV near the house I always leave it plugged into shore power. Besides, that's where it picks up hitchhiking critters in the first place. Likely, from the shore power cord opening. I recently put some steel wool around the slender opening. Hopefully that will help as well. Keeping them out in the first place. There are several versions available that run on 12 Volts as well, so can be installed and hard wired into your RV to work even when 120V isn't available. They are far more expensive, and I don't like using anything that is powered on all the time. Conservation is a good thing when boondocking! So, does it work? In a word, maybe. Scientifically, it has been proven that mice and other small mammals can get used to any sound over a long period of time. So for ongoing pest control, probably not going to work. To get rid of a single critter or a few...maybe. Just make sure you find the point of entry and plug it up so you don't get them back. I will be testing this gizmo over the next few weeks and update this article accordingly. My expectations are low, so if anything happens at all I will be a bit surprised. Even if it doesn't make them run screaming from the RV, at least the light show can be entertaining. I will be interested in your test results. This past summer I was workamping, for 4 months, along I-80 in Wyoming. I was surrounded by desert that was home to a lot of field mice and ground squirrels. In a New Mexico park (my "home base") residents swear by the LED rope lights to keep mice from the RV, so, heeding their advice, I dutifully surrounded my Winnebago with lights. During my first 6 months there, never had a problem. So, in Wyoming, when I started noticing little black "clues", then nibbled paper and potato chip bags, I became aware that mice were invading my space. I made an immediate trip to the nearest Walmart to buy some rope lights. I also bought some traps to take care of the mice already inside the RV. I trapped 3 mice that first night and didn't notice any more clues for a few days. Did the lights work? Ha! I must have trapped 20 or more mice over the next few weeks. I figured out where they were entering the coach (through the water/sewer compartment) and used an old comforter to stuff all the openings. That seemed to take care of them, though a couple more intrepid mice made it through to my traps. So, I can say that the LED Rope lights do not work to dispel mice, at least Wyoming mice. Maybe New Mexico mice are different. I'll be returning to Wyoming next year, so am eager to learn of your experiences. I too, am eager to see if the ultrasonic repeller lives up to it's hype. Stay tuned! I have B&D ultrasonics, and tested them by only using one at one end in my largish shop. Spiders definitely prefered making webs at the opposite end, but not 100%. With proper deployment, less webs but still not perfect. Used in my RV, I don't get many bugs, so maybe it works well in that smaller place. Mice seem totally unaffected by it since I still catch just as many in my SnappyWhackers. I've had it running for a little while now. Going to check all the nooks and crannies tomorrow and see what the verdict is. The theory is sound, the execution...who know! Speaking of mice infiltration, my trailer destroyed a wheelwell when a tire blew, leading to me dismantling a few cabinets to make repairs. Surprise!! Where the 1" water line comes up from the fresh tank under a cabinet, there was an 8" hole cut through floor, insulation, joist bottom, and membrane -- just a huge HOLE right to outside, large enough for a cat much less mouse. You'd never find it without pulling the cabinets, and never be in the trailer while moving to hear what must have been a hurricane of wind. Since that wasn't the floor section I was replacing, I sealed it with *most of a can* of PestBlock foam. If you know how much that expands, you know the volume involved. I should have taken a better photo for the new RV Horror channel, but can probably still get one of the foam-pile. Not sure what I would do with a cat infestation. At least you'd be able to control the mice. I am fighting mice with peppermint. I am told they hate it. I have a friend who swears by it. She sprays around her garage at least once a month. So I decided to try it after some got into the garage on the sticky pads we had waiting for them. I would much rather prevent than have to deal with a half dead mouse on a sticky pad. The recipe is 1 cup water, 1 tsp.pure peppermint oil,4 or 5 drops dawn dishsoap. So far so good. I also use it for fruit flies and gnats. I can spray them on sight without toxic effects in my kitchen. I have heard about peppermint oil....not too fond of everything smelling of peppermint though! While staying at Desert Trails RV park in Tucson last summer, the owners told us the only thing that truly works to keep rodents at bay is bright strobe lights. Rope lights -- not at all. Of course, you can't use the strobes when you are staying in the RV, so it is only good for when you are storing it. Good news for rope light manufacturers. He said that no matter the facts, people keep putting the rope lights out. Myth trumps facts most of the time! Truth is stranger than fiction! Strobes, huh? I guess the age of Disco is back? We use the sonic devices in the barn. It significantly reduces the number of mice. If even more significantly reduces the number of wasp. Note that the ones that stay bear offspring that are accustomed to the frequency and the numbers start to go back up. So every few years, you need to change frequencies. Some of the frequencies also bother cats, dogs and other animals. Peppermint/ Irish Spring also reduce the numbers. We've not found anything that is 100%. Thanks for the tips. Not sure if the one I have allows for anything other than Variable And Constant Frequency....but I'll check. We picked up a traveling mouse this summer. Spouse heard noises one night and found the last tomato had bite marks in it. I crawled under the trailer and plugged every opening with steel wool ($1.00 package at Dollar store). I covered the outside of the hole with Gaffers tape. On oa couple of large openings I used a mix of steel wool and spray foam insulation Inside I used a couple of glue traps under the counters. Next day we caught the traveler and quickly disposed on it. Deployed the glue traps for the next few stops. We are now pest free. Kevin, Excellent and quick work! Steel wool works wonders, i know...I saw a beef jerky rapper slide across the back of the couch on it's own...same guy as before...from the passenger footwell. Hopefully, he has moved out by now. P.S. Are you a Gaffer? Or more recently, "Chief Lighting Technician." Best Boy??? LOL, the best solution I've found is a cat. A bit more costly over time than an electronic device, but much cuddlier. Absolutely, and you get "gifts" dropped at your feet periodically! Meow! We found 20 - 40 mice in our country home after RV travel. After adding a few Bird-X Transonic units there have been no mice for 5 years now. These are more powerful ultrasonics, NOT recommended on during huiman or pet habitation, just for vacancy times. They CAN also be used on 12 volt DC (sdet only on low or medium volume) as their cord AC power supplies convert AC to 12 volt DC to the unit. Got them at Amazon for $30. 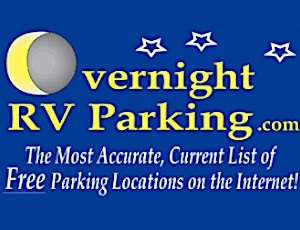 For RV long term storage, like off season for people who experience Winter, this sounds great. I will look into adding them to my "arsenal" if the existing one doesn't do the trick. The Importance Of Backing Up - Your Computer!